Suzanne Gordon, an esteemed author previously discussed on this blog (click here and here for two of those posts), has now published a new book about nursing that will certainly be required reading for anyone desirous of a realistic view of issues facing nurses in the 21st century. "The problem is, in this heavily sentimental genre, the real-world context of long hours, increased patient loads, and chronic understaffing quickly fades into the background. In the foreground we see traditional images of nurses as people (generally women) who “make a difference” through their touch–always gentle–and niceness. Rarely are their abilities or technical knowledge–represented in a true-to-life setting–the subjects of the story…"
I for one greatly appreciate Gordon's response to what I see as an insipid "Chicken Soup" book culture that uses platitudes and niceties to gloss over the true reality behind the myth of nurses as angels of mercy who simply need a pat on the back and an inspirational story in order to continue working double shifts and mandatory overtime without complaint. "No wonder the public clings to this sentimentalized vision of nurses and texts that are produced to inspire nurses deliver up story after saccharine story that reinforce traditional stereotypes of nursing and women’s work. Nurses are plied from every direction with a narrative that depicts them as modern angels endowed with extraordinary powers of empathy and compassion–qualities that are never depicted as the products of education or experience on the job." The "angel of mercy" image of nurses---long a myth brought forward since the time of Florence Nightingale---has indeed secured a place in the modern view of nurses, and it is authors like Suzanne Gordon who seek to shatter that image and paint a picture of nurses' challenges and true professionalism with realistic hues. 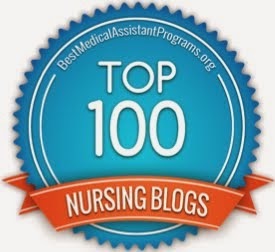 I sincerely hope that I myself have not inadvertently contributed to this widespread sentimentalism about nurses and nursing through my own writings in print and online, but as a nurse on the front lines since the mid-90's, I hope I have indeed written enough about the vicissitudes of nursing over the years to make up for any notions of sentimentality on my part. Suzanne Gordon's consistent championing of the cause of 21st-century nursing is heartening and encouraging. Gordon brings a sober journalist's eye to a subject that, according to her keen observation, has been watered down and delivered without consideration regarding how to move nurses from sentimental caricature to real life. Gordon believes that nurses need "crucial tools" such as negotiation and conflict resolution in order to have a true seat at the health care table, and the "inspirational narratives" so often published about nurses focus too much on feeling and not enough on the nitty gritty action that portrays nurses in a true light. I greatly look forward to reading Gordon's new book, and applaud her for her advocacy and courage as a writer and journalist. Gordon has done a great deal for nurses through her work as an author, and I'm certain that this new collection will only add to the canon of literature that truly defines the reality of modern-day nursing. As Congress argues about whether national health care can ever be a reality here in the United States (with fears of socialism abounding), the British National Health Service (NHS) is often brought up as an example of socialized medicine gone awry. Just a few days ago, I received an email from a contact who wanted me to share with my readers some real facts about the NHS in order to counter many of the falsehoods bandied about. The NHS was established in 1948 for the benefit of the residents of England, Wales, Scotland and Northern Ireland, and contrary to popular opinion here in the US, residents of those countries can indeed purchase private health insurance, go to private hospitals and otherwise pursue high-quality care. An article on Health Express extolls many of the positive aspects of the NHS, readers can click here to peruse the article in its entirety. While I have no illusions that the NHS is perfect, and I have no doubt that there are plenty of British citizens ready to complain about their healthcare (or lack thereof), it's interesting to hear of the successes of the NHS, and have additional information from which to form an opinion. Meanwhile, millions of American children and adults still live without any health insurance whatsoever, and a considerable percentage of home foreclosures in the US are due to health care bills which homeowners simply cannot pay. Sitting in a Middle Eastern cafe in Taos, New Mexico this afternoon, my wife and I were lucky to strike up a conversation with a young man with whom we were sharing a low table surrounded by comfy pillows. In the course of our conversation, it turned out that he's pursuing a degree in nursing, and it's quite heartening to see a thoughtful young man of heart and intelligence planning to enter the field. Nursing still seems to be all the rage among young people seeking an honest and remunerative career, and when I meet someone like this, I'm pleased to feel that, yes, I would want this person at my bedside when I'm in the ER. Even as some areas of the country are seeing hiring freezes and a dearth of jobs in comparison to the number of students being churned out by nursing schools, it seems that some states (like Florida and Texas) still enjoy a high number of positions waiting to be filled. Apparently, demand may actually outstrip supply in Texas in 2010. There are so many good people entering the field of nursing, and I'm very pleased that the profession is attracting many mature, educated individuals who are bringing their life experience and knowledge to the fore. I know several extremely intelligent and kind people now in the throes of their nursing education, and I'm certain that they will bring great compassion and thoughtful regard to their work in the very near future. May the continued flow of high quality nursing students continue for years to come as long as the demand for their service persists, a scenario made very likely by the aging of our society and the need of the retiring Baby Boom generation for medical care. Nurses are still the backbone of the medical industry, and a strong backbone it is. As we follow the teachings and as we practice, we will inevitably discover certain truths about ourselves that stand out prominently: There are places where we always get stuck; there are habitual patterns and strategies that are the legacy of negative karma, which we continuously repeat and reinforce; there are particular ways of seeing things—those tired old explanations of ourselves and the world around us—that are quite mistaken yet which we hold onto as authentic, and so distort our whole view of reality. When we persevere on the spiritual path, and examine ourselves honestly, it begins to dawn on us more and more that our perceptions are nothing more than a web of illusions. Simply to acknowledge our confusion, even though we cannot accept it completely, can bring some light of understanding and spark off in us a new process, a process of healing. Having left Massachusetts for the great American West, I am in the process of applying for a nursing license in Texas, the state where I now have legal residence. Having only received a license in Massachusetts in the past, I am somewhat overwhelmed by the circuitous and complicated nature of the application process in the Lone Star State, bearing in mind that a Texas nursing license will allow me to practice in 20 other states thanks to the Nurse Licensure Compact. Once I had begun the online application process to apply for a Texas nursing license, I was interested to learn that the application required me to present myself to the nearest Sheriff's office for fingerprinting. Never having had the opportunity for such an indignity in the past, this novel experience was indeed quite novel, and I left the Georgetown, Texas Sheriff's Department with a very official-looking set of fingerprints, paying the paltry sum of five dollars for the privilege. Delving further into the application procedures found me calling the Massachusetts Board of Registration in Nursing to ascertain the date on which I took my nursing board exams (good thing they didn't ask for my score! ), as well as paying an additional fee to have an electronic verification of my Massachusetts license sent to the Texas Board of Nursing. Finally completing the application and mailing the fingerprint card to Austin, I learned that yet another step would be required in order for me to receive my permanent Texas nursing license. This final step entails studying over 250 pages of rules and regulations pertaining to the practice of nursing in the state of Texas, and subsequently taking an online exam that may require up to two hours to complete. Passing this exam of "nursing jurisprudence" will be the last hoop through which I will need to jump in order to ultimately be allowed to practice in the Lone Star State, as well as in 20 other states mentioned earlier. The most disconcerting aspect of this application was a question which required me to reveal if I have been treated or diagnosed in the last five years with Antisocial Personality Disorder, Borderline Personality Disorder, Paranoid Schizophrenia, Schizoaffective Disorder, or several other mental illnesses. While I understand the reasoning behind such questions (images of Nurse Ratched come to mind), it seems a grave violation of privacy to demand such personal and confidential medical/psychiatric information from a licensure applicant. While I'm not certain what may have occurred had I selected "yes" for a psychiatric treatment history, it seems fairly apparent that revealing such information would not necessarily win over the hearts and minds of the members of the Texas Board of Nursing who would be reviewing my application. While I admit to feeling both inconvenienced and annoyed at the frankly burdensome nature of this process, I understand that it is indeed a privilege to practice as a nurse in any state or country, and both nursing education and licensure are difficult for a reason: to winnow down the applicants to the hearty few who can see the transaction through to the bitter end. 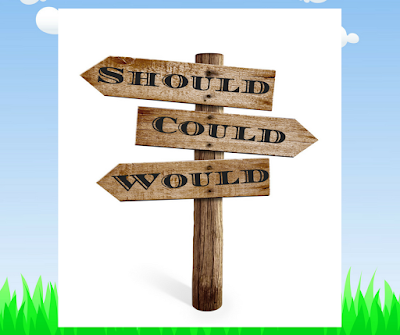 From seeking admission to nursing school to surviving clinical to passing the nursing boards, nothing about becoming a nurse---or remaining one---is simple, and perhaps that is, in fact, for the best. I will indeed be grateful to receive my Texas nursing license---and the rights and responsibilities therein---and will frankly breathe an enormous sigh of relief when the red tape has been sufficiently satisfied. It has been an intimidatingly complicated business, and obtaining that license will be a moment of great satisfaction indeed. 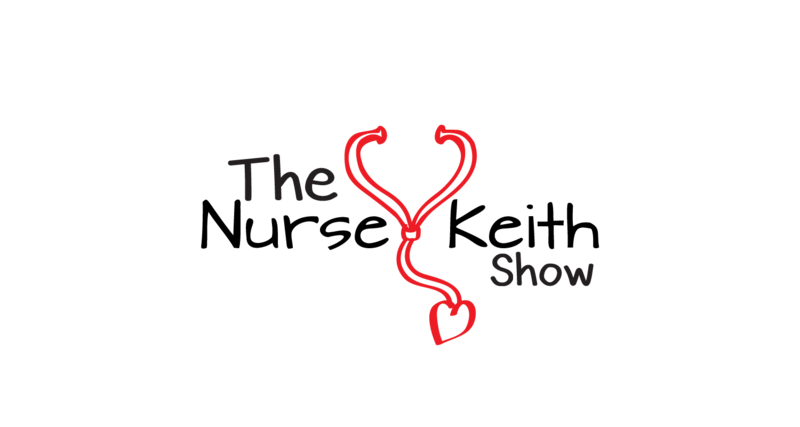 The newest edition of Change of Shift, the nursing blog carnival, is up at The Blog of the Interdisciplinary Nursing Quality Research Initiative (INQRI), with the focus being education. The primary goal of INQRI is "to generate, disseminate and translate research to understand how nurses contribute to and can improve the quality of patient care." I am new to INQRI and will be perusing their site to gather more information about their work and research. It seems that my work as a freelance nurse writer is beginning to bear increasing fruit. Digital Doorway has been in existence for five years now, and it has been a slow but steady process of becoming published in a variety of venues and media. I have been an "Expert Blogger" on BlackDoctor for a year, and I have now been asked to provide a weekly editorial article on that site beginning later this month. This will allow me to use my skills as a writer and nurse to reach a slightly wider audience on a regular basis. I'm grateful to the editors at BlackDoctor for this opportunity. Just this week, I completed an article on "Disaster Relief Nursing" for the Southern California-based Working Nurse. The article will appear on the Working Nurse website and in their print version, which reaches 100,000 nurses at home and at work. With the ongoing situation in Haiti, it couldn't be a better time for nurses to learn more about disaster relief as a specialty. In terms of books, two stories of mine will be appearing in a new collection entitled "Nurses on the Run" which is scheduled for publication by Dog Ear Publishing later this year. Drumming up work as a writer is not always easy, but my level of satisfaction is currently high with so much good news to report. I will continue to pursue further opportunities, and fully appreciate the trust and support I have received from so many people along the way. For the nurses who read this blog, there is a new website dedicated to providing tax return help for nurses and caregivers. I have not researched this site, nor is this an endorsement. 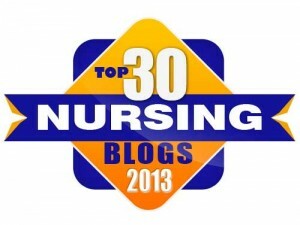 I am posting this simply as a resource for nurses who might want to check out the site. The newest edition of Change of Shift is up at RehabRN. 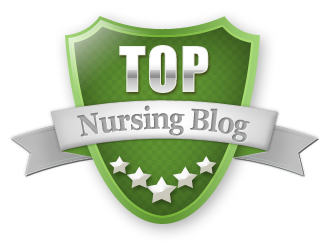 Please pay her a visit to read the freshest blog entries by some of the best nurse bloggers around. Nurses and other health professionals from around the world have descended on Haiti to assist in the recovery effort following the recent earthquake. According to National Nurses United, a national nursing union based in California, more than 7,000 nurses have already volunteered to travel to Haiti, and more are signing up each day. These are impressive numbers, and there's no doubt that nurses are playing a major role in the Haitian effort. The California Nurses Association seems to be at the forefront of this undertaking, and it is incredibly heartening to see my chosen profession so well represented at such a crucial time of need. For myself personally, I am deeply sorry to not be in a position in my life to travel to Haiti and pitch in as so many others are doing. Timing and personal circumstances are important, and I regret not being able to go. Taking part could be a life-changing experience, and I hope the best for the nurses who are going to Haiti. When Katrina hit Mississippi and Louisiana several years ago, I was also not able to go to the Gulf personally, and instead took part in fundraisers and other events back in Massachusetts. Similarly for Haiti, I am raising funds for Partners in Health, and readers are encouraged to click here if you would like to donate to this excellent organization's work in Haiti. Living with chronic pain and Multiple Chemical Sensitivity make participating in such work seem somewhat untenable for me at this time in my life, and I regret that my current physical health prevents me from taking part. Still, my heart goes out to the people of Haiti and those who are volunteering their time in this massive recovery effort. May we all---myself included---realize how our own petty grievances and wants are so small in light of the suffering endured by so many, and may the people of Haiti be uplifted by the outpouring of support and love flowing their way from around the world.